We've been making some changes to our guided reading stations recently and I wanted to share some of our ideas with you. Our guided reading time is currently one hour. Caitlin and I meet with groups for 20 minutes each during this time, which leaves our students with 2 center activities each day. We created a schedule of what station groups would do each day. This helps keep me organized! The center schedule is listed on the board for the students to see. (One of my next projects is to create new pictures to put up on the board for each station. I'm not happy with the ones I have right now.) 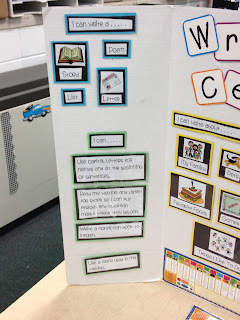 The centers that the students are currently using are - writing, word work, read with a partner, listening center, and classroom library (reading independently). 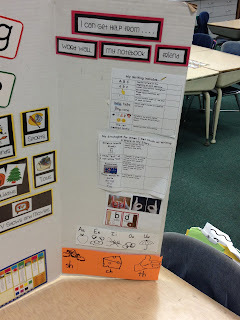 At the beginning of the year, we created a "writing board" for the students to use. 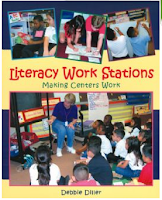 This idea came from the book Literacy Work Stations by Debbie Diller. The students really like using this writing board, especially when they have a hard time coming up with ideas to write about. 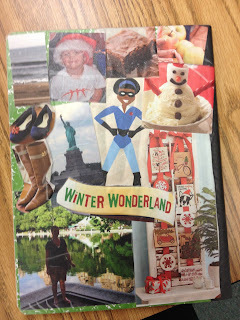 We also created writing journals at the beginning of the year. I found composition notebooks on clearance at Target. Students brought in pictures from home. We glued them to the outside of the notebooks and I covered each with contact paper so they would last all year. Students use these notebooks during their writing station. They use the pictures on the outside to get ideas for their writing. 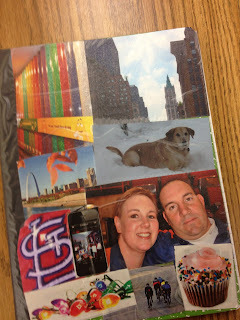 They have a real sense of pride about their "picture journal." Here is the example of the one I created. It includes a lot of my favorites - St. Louis Cardinals, cupcakes, New York City, M&Ms, my family, our dog Jax, the beach, apples, fall, Christmas time, and superheroes! As the year has progressed, I noticed that some of our students were doing the same activity in each station instead of making different choices each day. There was also no accountability for their choices. So, we came up with some changes that we've implemented. 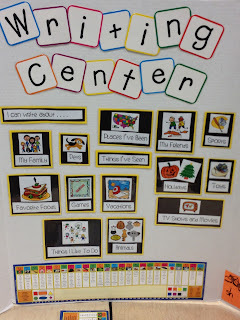 The students have a "Reading Center Checklist" that they fill out at the end of center time each day. They keep this checklist in their Centers folder. Students check off the activities that they work on that day. The next time they are in that station, the checklist helps them see what activity they already did this week and reminds them to choose something different to work on. At the end of the week, this goes home to the parents to see what their child has been working on. There is a spot for them to sign it and return on Monday. Keeps the students accountable. 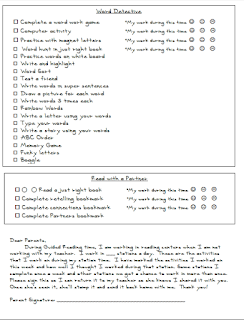 We also created a rubric for students to complete during their read to a partner and independent reading stations. I have the students use a timer to keep track of how much time they spend reading during their station. You can use an inexpensive kitchen timer from the dollar store or Walmart. Students rate themselves on their fluency and using reading strategies. They also rate themselves on the time they spent reading (or talking), taking breaks, and walking around the room. Students then turn the rubric in so I can see how they did. 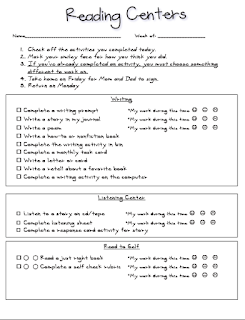 Surprisingly, they are pretty honest and it's a great way to keep them accountable. 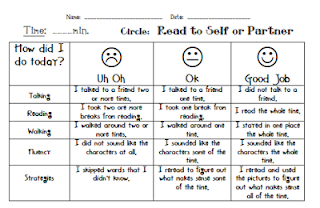 It's a great tool to use when conferencing with students about their reading. 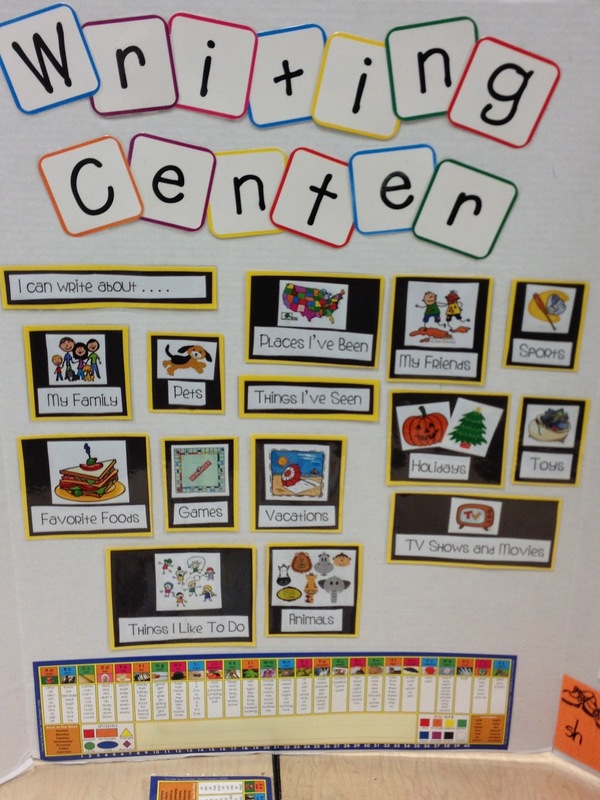 You can find my Reading Centers Checklist & Rubric packet in My TPT Store or click on the pictures above. Hope you find these ideas helpful!! 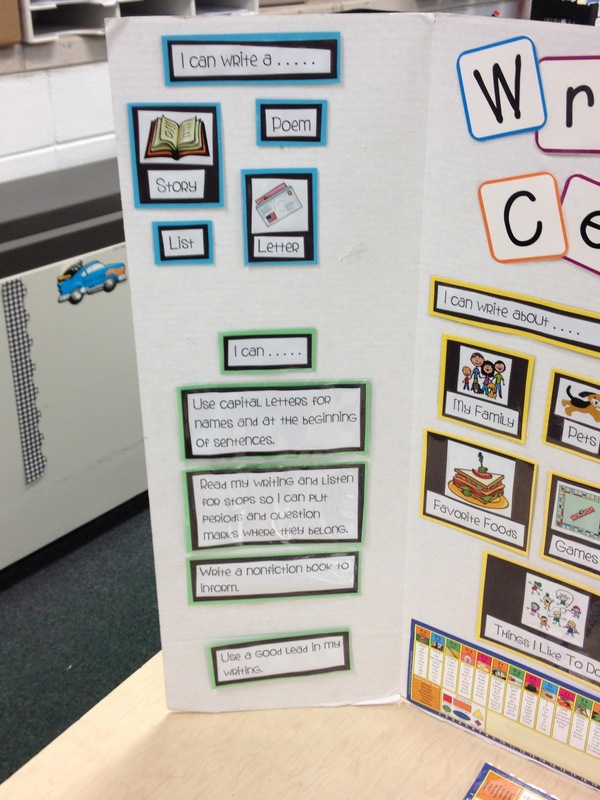 Do you have your writing center rubric too?